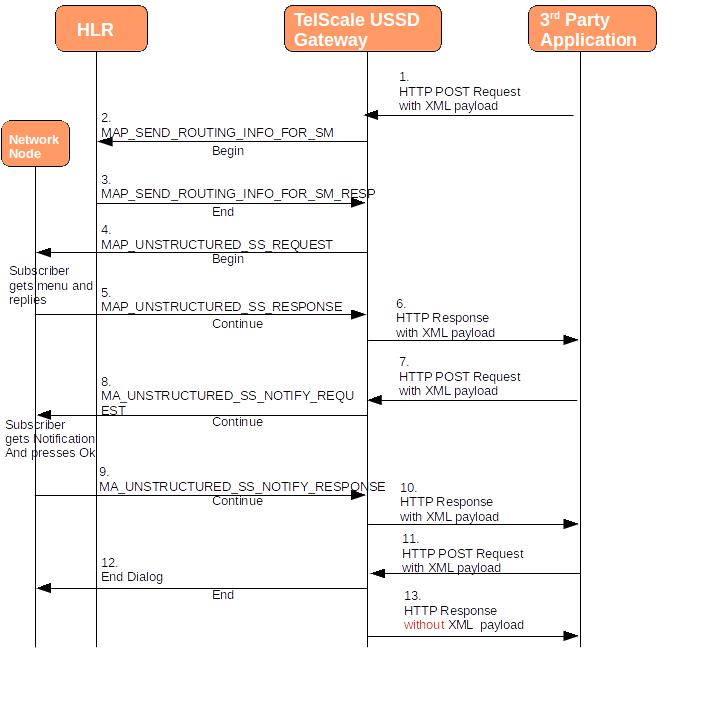 we already have SMPP for SMS, but don't have similar functionality for USSD, i.e. 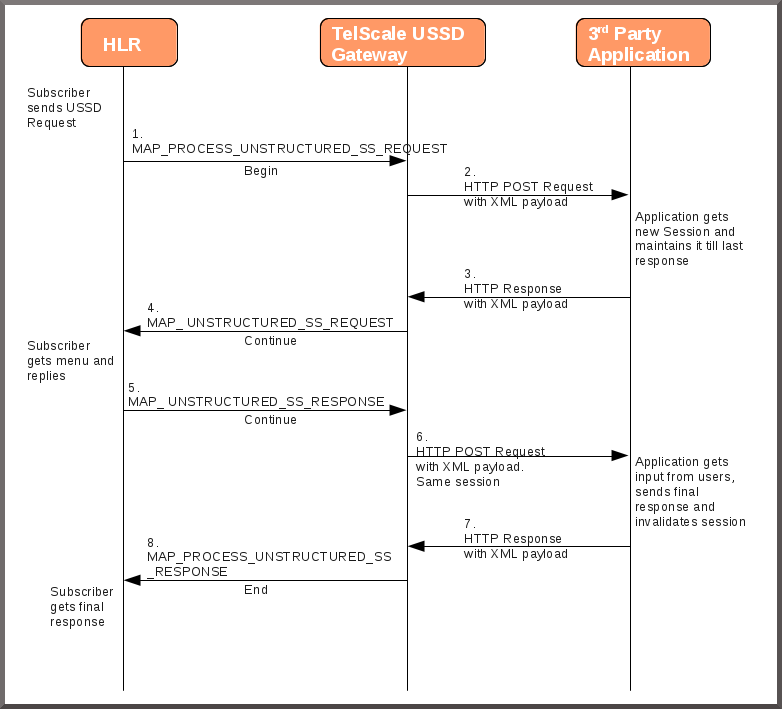 a way in which external applications can exchange USSD with MSs. There are some provisions for USSD in SMPP, but I think they don't really appreciate the session-oriented nature of USSD. First of all, we need to extend GSUP with USSD support. Found a few great pictures about MAP message flow. network or even MAP traces, I would be more than happy. Oh, WOW! I've just found a MAP trace with lots of USSD sessions. This is exactly from where I took the pictures above. and edited (source XML attached) there. e.g. when Paging of a subscriber is failed, or when a message decoding is failed.